Arkema's CEO said Wednesday that there is "no way to prevent" a possible explosion at the company's Crosby, Texas, facility, which has been heavily flooded as a result of Hurricane Harvey. Rowe added: "We have evacuated our personnel for their own safety. The federal, state and local authorities were contacted a few days ago, and we are working very closely with them to manage this matter. They have ordered the surrounding community to be evacuated, too." Residents within a 1.5-mile radius of the facility, which is near Houston, have been told to leave, according to the Harris County Fire Marshal's Office. Rep. Ted Poe, R-Texas, who represents the district that includes the chemical plant, called the situation "very dangerous." "The worst-case scenario is that this chemical plant could explode," he told ABC News. 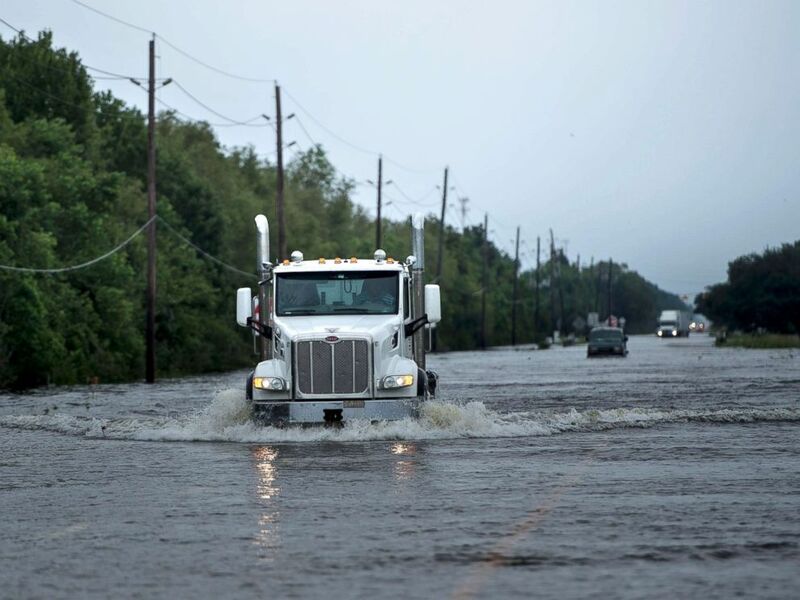 The site has experienced torrential rains from Harvey, "receiving approximately 40 inches by Monday afternoon," the company said in a statement Tuesday evening. On Tuesday, the company said it didn't believe there was any "imminent danger" but stressed that "the potential for a chemical reaction leading to a fire and/or explosion within the site confines is real." The Environmental Protection Agency is supporting local agencies in dealing with the situation. "We are aware of the situation and are working with TCEQ, who is the lead in this situation, to support them and other state and local officials to mitigate risk to human health or the environment," an EPA spokesperson said in a statement. The U.S. Chemical Safety Board -- the federal agency that investigates and helps clean up chemical accidents -- also said it was aware of the situation. "The CSB is aware of the situation through news reports. We don’t have any other information other than what we are gathering from news reports. We are prepared to deploy to any incident that might result from Hurricane Harvey." ABC News' Anna Maria Gibson, Clayton Sandell and Lauren Pearle contributed to this report.